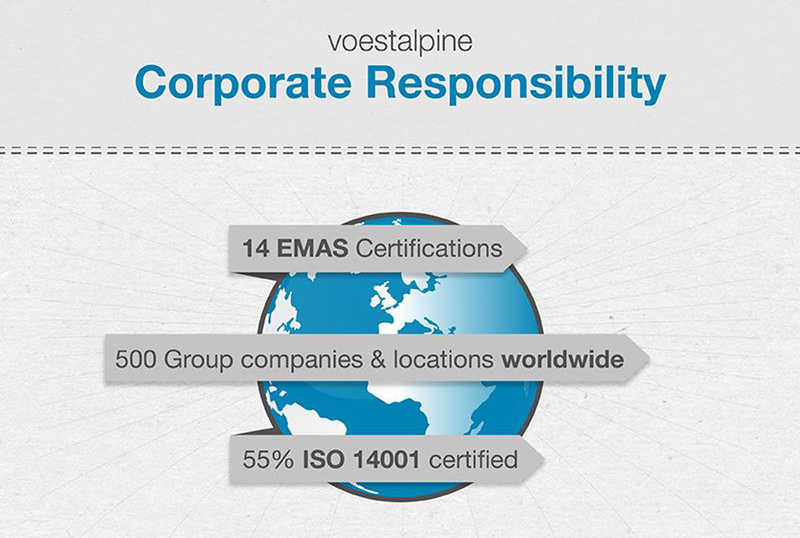 voestalpine lives up to its corporate responsibility right across the Group, in all business segments and at all sites globally. Corporate Responsibility (CR) is part of our corporate culture at voestalpine and plays an important role in corporate strategy. The most important data and facts on the subject of corporate responsibility have been clearly displayed in an infographic. 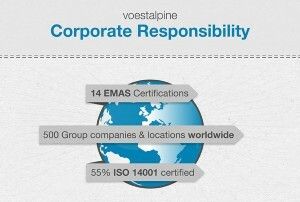 The voestalpine Group has more than 48,100 employees working in 500 Group companies and sites on five continents. Women make up 13.3% (business year 2014/15) of the workforce. Ongoing operating expenses for environmental specifications have continually increased over the past years, reaching EUR 218 million in the business year 2013/14. Equally impressive is the reduction in emissions and energy consumption achieved over the last 30 years; dust emissions alone have been reduced by 95% over this period. 14 production sites are certified according to EMAS, and 55% to ISO 14001. 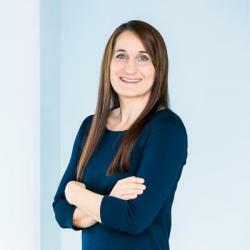 With a Group-wide research network and broad international cooperation, voestalpine is Austria’s most research-intensive company. Expenditure in this field rose to a new record level in the business year 2014/15, to EUR 141 million. Many steel applications are sustainable: from the production of rails and turnouts for low CO2 emissions transport, to components for facilities generating power from wind energy and photovoltaics, and innovative steel bodies for lightweight construction in vehicle production.